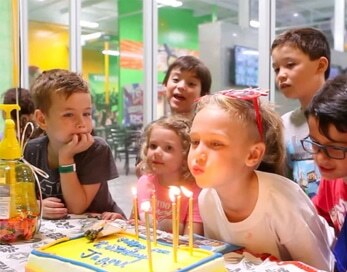 Take your child’s birthday party to the next level by hosting it at Rockin’ Jump in Brown Deer, WI. 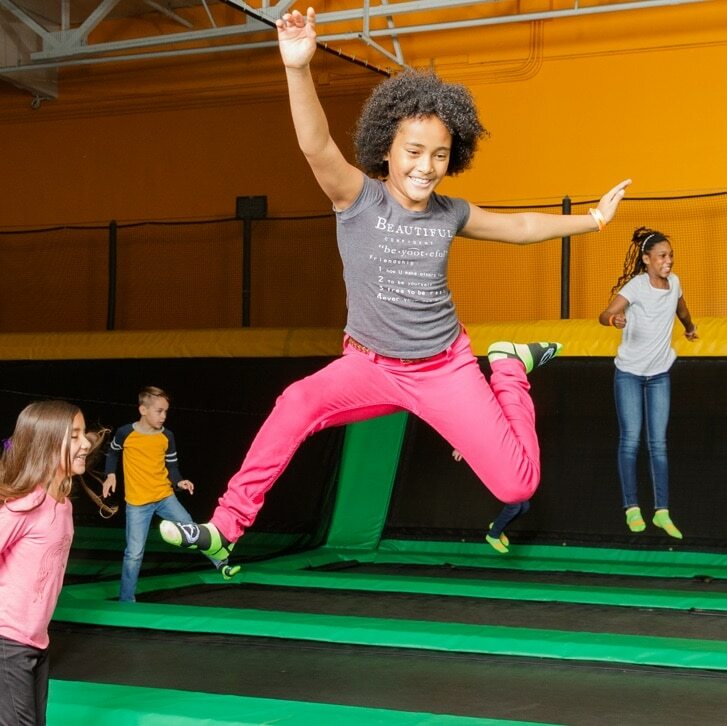 Invite their best friends for some high-flying fun and an unforgettable birthday party experience at The Ultimate Trampoline Park ®. *6 years and younger only. 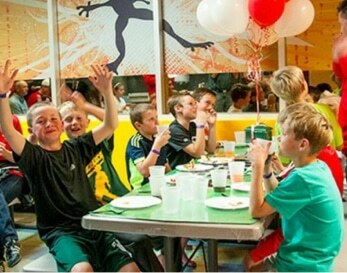 Booking a birthday party at Rockin’ Jump Brown Deer can be accomplished in 1 of 3 easy ways: 1) click on a Party Package option (located above) and book your party through our online reservation system, 2) call our friendly and helpful staff at 414-522-1945 to book your reservation over the phone, or 3) stop by our location at 9009 N Deerbrook Trail in Brown Deer, WI during regular hours to speak with our staff in person. Birthday parties are non-refundable but may be transferred to another date with advanced notification. 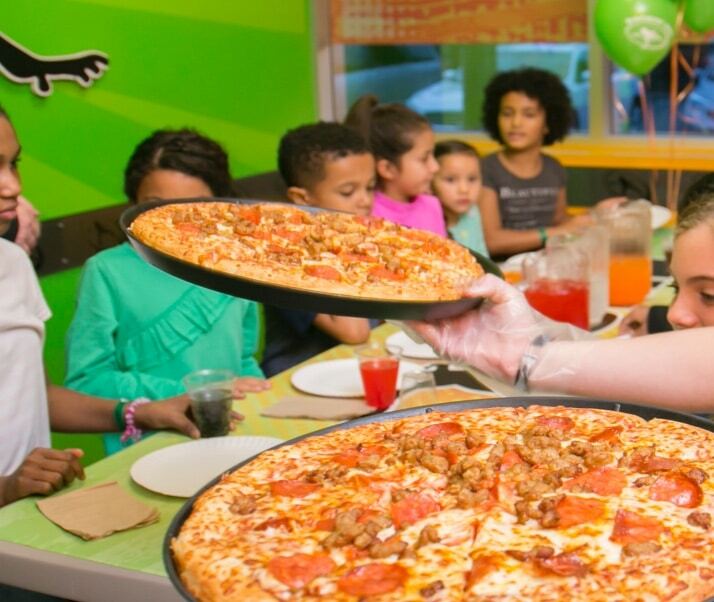 To change your party dates, call us at 414-522-1945. 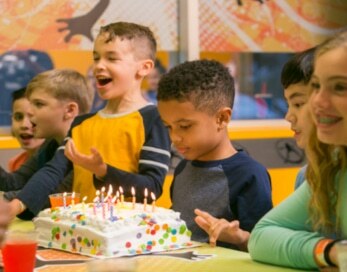 Birthday party packages are non-refundable and are due in full at the time of booking to reserve your private party room and jump time. 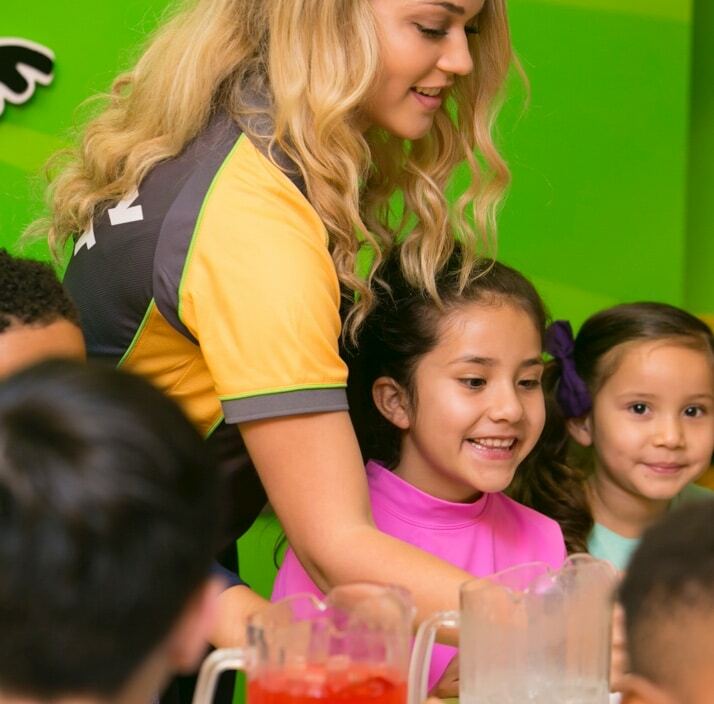 Rockin’ Jump party packages require a 100 percent, non-refundable deposit at the time you book your party in order to reserve jump time and space in a private party room.